Luxury Motor Yacht CHILLS was built by Pacific Mariner, Westport and designed by Naval architect William Garden in 2012. Measuring 26m (85ft) in length, the CHILLS motor yacht offers sophistication and style that rivals yachts of a larger size. M/Y CHILLS can accommodate up to 8 guests in 4 generous cabins and is available for charter year round in the beautiful Bahamas. 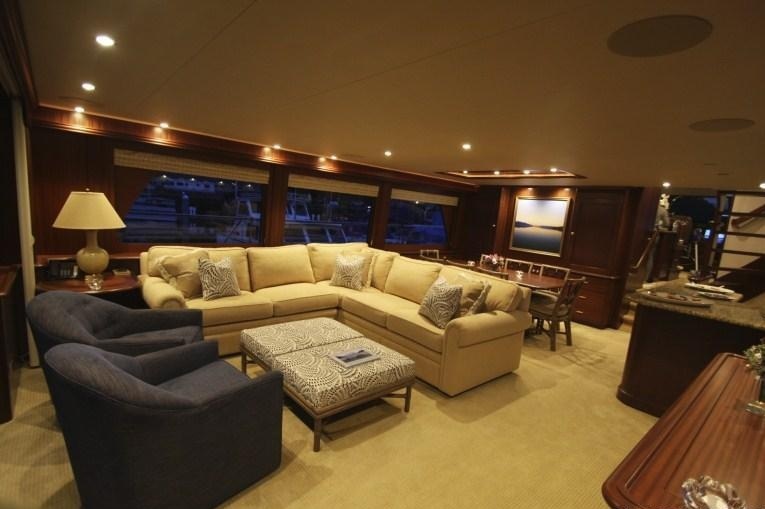 Yacht CHILLS boasts a refined neutral interior in rich mahogany and light cream furnishings offering ultimate comfort and style. The salon is light and airy thanks to the panoramic windows and features a large lounge area for 8 guests on an L shaped plush sofa and 2 occasional chairs. A pop up flat screen TV/DVD and stereo system sits adjacent for optimum entertainment. Forward of the salon in an open plan guests can enjoy a cocktail at the marble wet bar prior to a meal at the formal dining table. 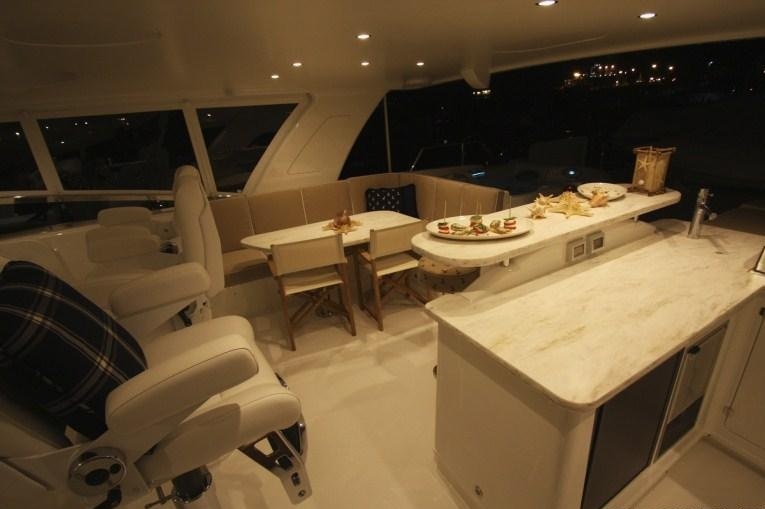 Further forward and separate is the galley with breakfast nook and helm station. 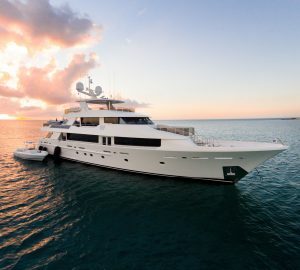 Westport yacht CHILLS is the perfect yacht for the Bahamas with plenty of exterior areas to relax. 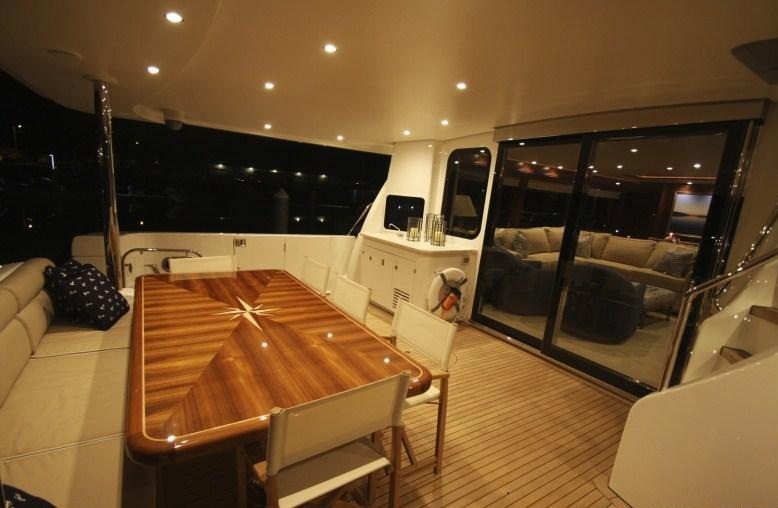 The aft deck is spacious and shaded with an alfresco dining option and sliding glass doors that open into the salon. 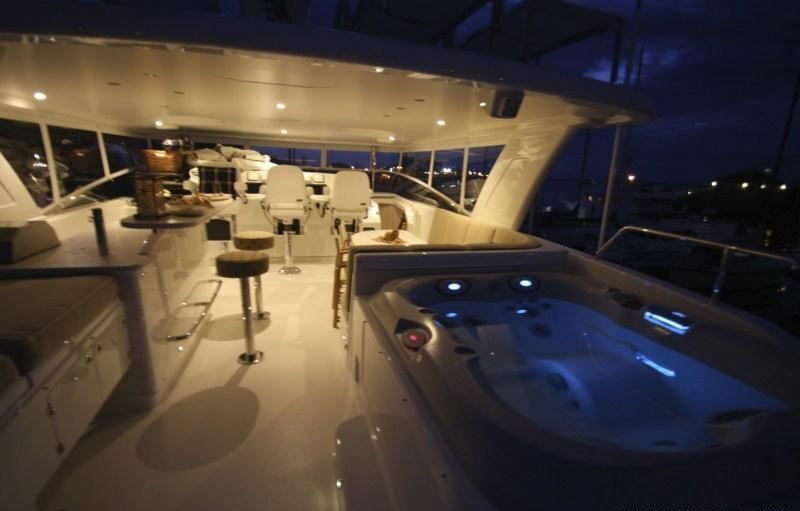 Water access is made easy on motor yacht CHILLS with a full beam extended swim platform aft. Forward, guests can enjoy a double sunpad and a little privacy. 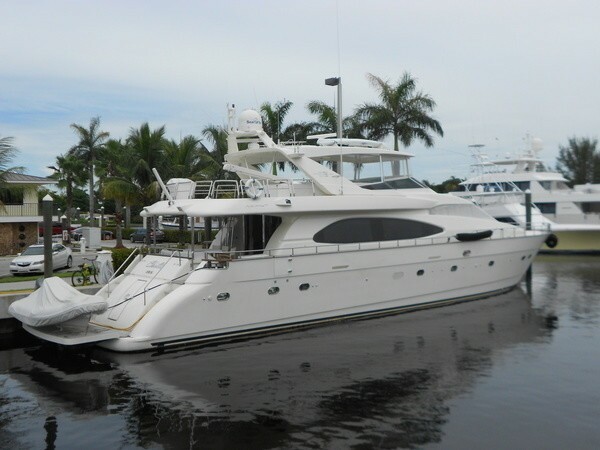 Charter yacht CHILLS has an impressive flybridge complete with helm station with seating for 2, full wet bar, alfresco dining option, double sunpad and Spa Pool tub. The CHILLS motor yacht has a beam of 7m (21ft) and a draft of 2m (5ft), she is powered by 2 MTU 1500hp engines and is capable of speeds of 22 knots cruising and top speeds of 25 knots. 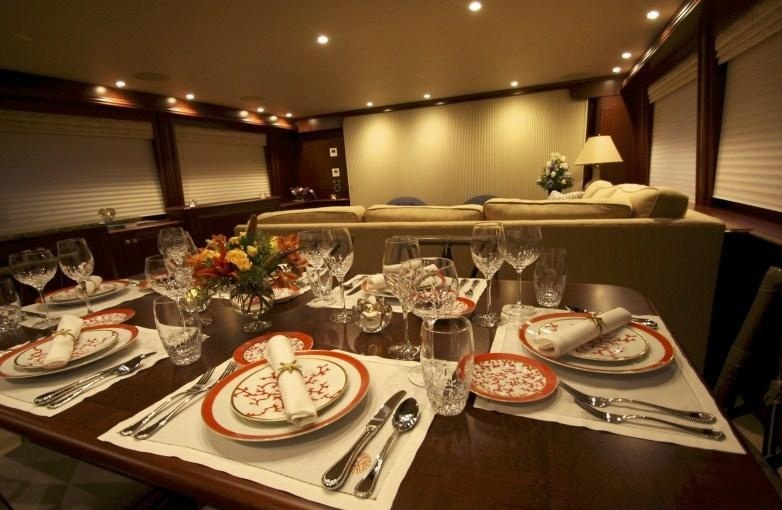 Luxury charter yacht CHILLS can accommodate 8 guests in 3 double and 1 twin cabin. 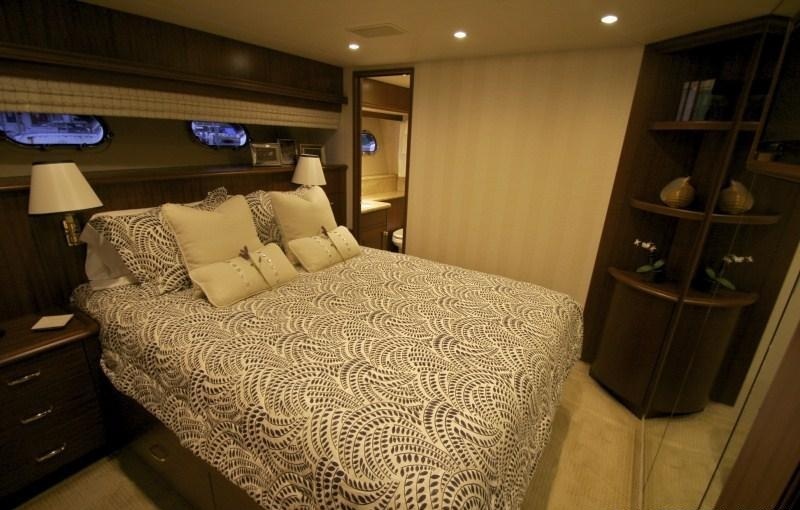 The Master suite is full beam of the yacht amidships with a king size bed, writing desk, vanity and en-suite facilities with his and her sinks, shower and tub. 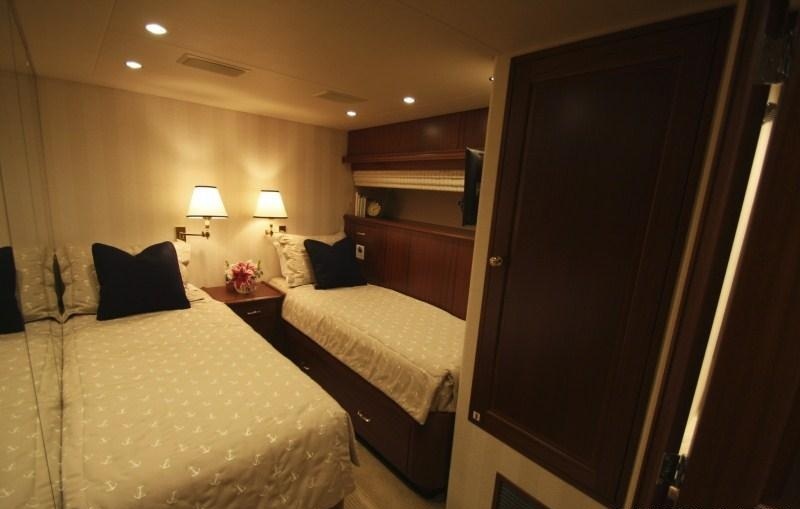 Forward the VIP cabin is full beam offering a queen size bed and en-suite with shower. 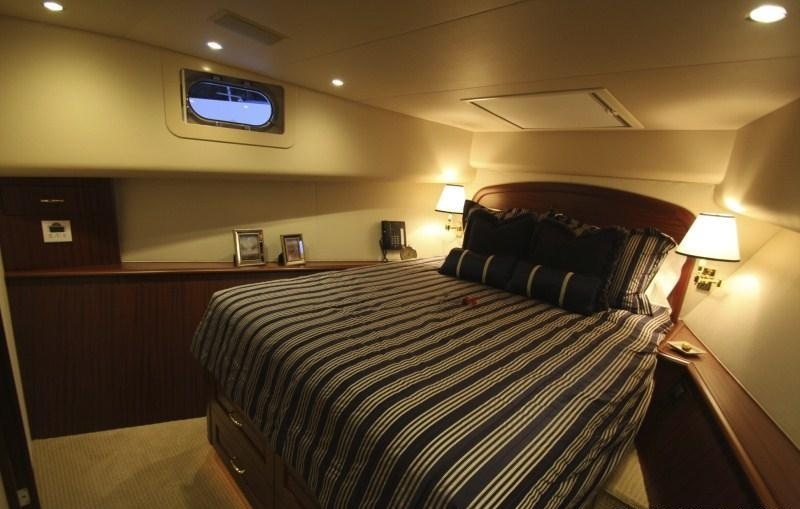 A double guests cabin is to starboard featuring a queen size bed and en-suite with shower and to port is a twin cabin with 2 single beds and en-suite with shower. 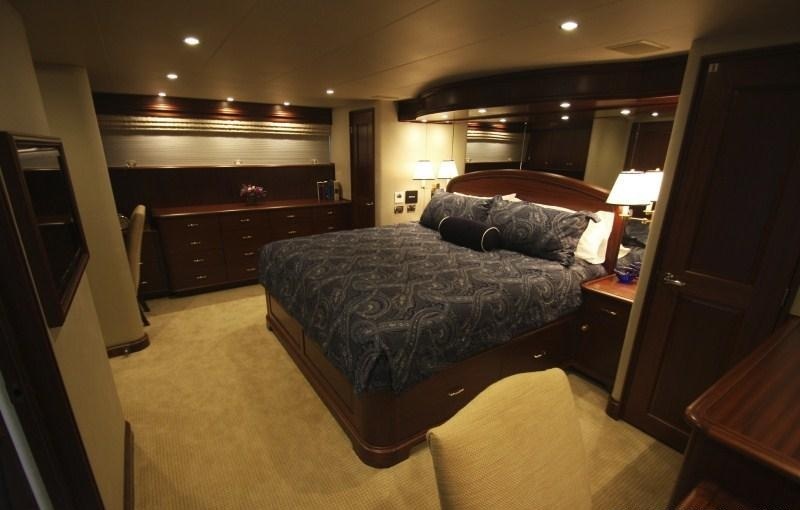 All cabins boast a tasteful neutral décor with deluxe amenities and fittings. 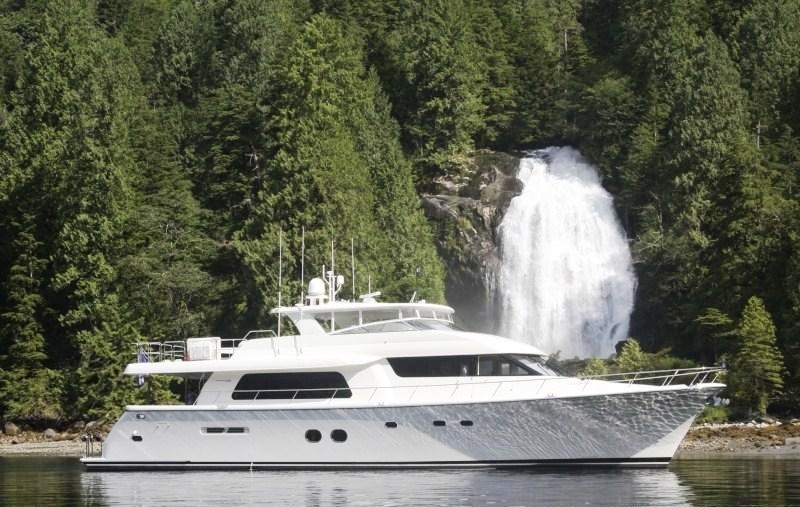 M/Y CHILLS has a Tender, Snorkel Gear, Spa Pool, BBQ, Zero Speed stabilizers (at anchor).